Kathmandu (Pahichan) February 3 – It is hard to find better stories about the power of friendship and the impact of volunteering than the one related to Navina Gyawali and Sangita Shrestha who, with a group of peers, have started Supportive Action Towards Humanity (SATH), a new not-for-profit working in the field of social inclusion. The mission of the organisation is to bridge the gap between visually impaired and sighted people through an open and exchange platform where people with different abilities can socialise, interact, embrace and accept each other. It’s a story of partnership where peers come together, thanks to a volunteering experience that changed their lives. It is also a story of courage because SATH, a brainchild of Gyawali, a social inclusion activist who recently concluded her experience with Kanthari, a great incubator of promising and inspiring social innovator based in Kerala, could set the example to many other ventures. I met Gyawali several years ago and I was impressed by the power of her positive thinking, sheer determination and willpower to create a more inclusive and just society for youth living with visual impairment, a condition that has affected her since birth. Her life trajectory, her quest for dignity, respect and empowerment brought her not only to successfully complete a Master’s degree in Sociology but also to pass the Teacher Commission Service Examination and win a Fulbright Scholarship that allowed her to study at the University of Southern Indiana. 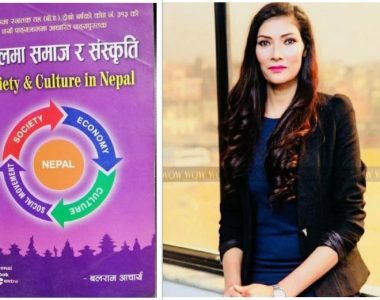 There Gyawali could fully immerse herself into local culture, building a new level of confidence about her potential and a greater sense of the goals she could achieve in life. 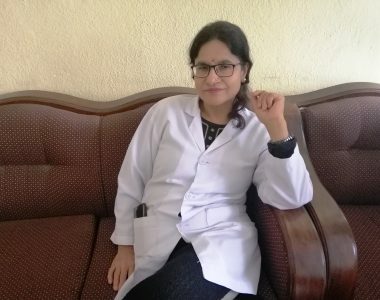 As a real fighter and a driven person, Gyawali wants to serve her country, creating more opportunities for youth with visual impairment by connecting with peers living with disabilities. Throughout all life’s ups and downs, Gyawali has now mastered the art of grit, the combination of passion and perseverance to achieve new goals. She knows firsthand how hard it is to change people’s mindsets. These experiences pushed her to challenge herself and set the bar high. Here Shrestha enters into action: a young social work professional pursuing a Master’s degree in Sociology. She was an ENGAGE Corp member, serving for a year with ENGAGE, working in partnership with peers living with visual impairment through a reciprocal learning experience. It happened that Shrestha was matched with Gyawali and from there they started working together and a friendship was born. Over the last three years, Gyawali and Shrestha have been in touch, corresponding through social media and catching up face-to-face whenever possible. Shrestha is driven by a strong sense of equity and soon after the completion of her undergraduate studies in social work, she interned at Blue Diamond Society and at the United Nations. Embedding the spirit of volunteerism on daily basis through activities like mentoring younger girls at Nice Foundation, Shrestha became one of co-founders of SATH where she sits in the board of directors in the capacity of treasurer. If Gyawali is the driving force behind the new venture and Shrestha is one of the key players, many important friends and advisors are supporting the new organisation, including senior activists and experts like Birendra Pokharel, founder of ADRAD Nepal and social entrepreneur Chiran Jeevi Poudel of Seeing Hands Nepal. SATH will run an event called Tick Tick bites, in which blind and partially sighted will be taught in baking and cooking and preparing healthy snacks with unique international flavours. Their story is a great example on how a simple volunteering experience can lead to a real positive partnership.